PRICE LISTED INCLUDES LOT PREMIUM AND OPTIONS. 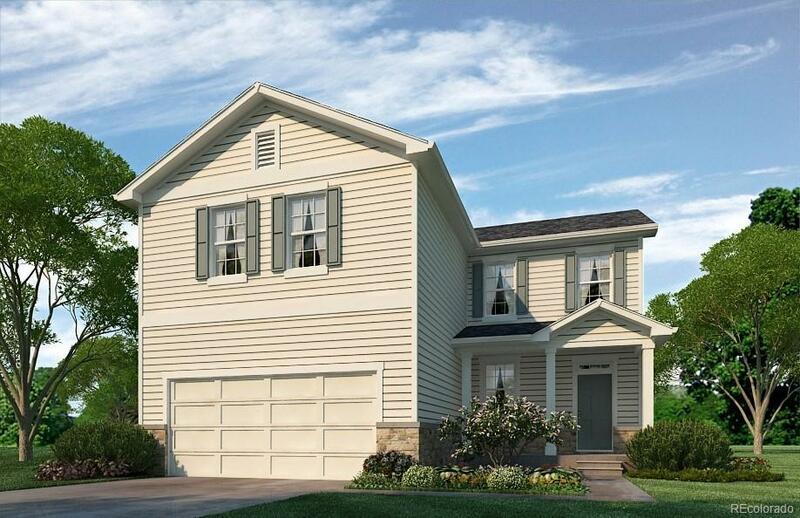 A BEAUTIFUL AND SPACIOUS TWO STORY HOME WITH AN OPEN LAYOUT AND IN A GREAT COMMUNITY! 4 BEDROOMS WITH MASTER SUITE! LOTS OF STORAGE AND WALK-IN CLOSETS. INCLUDES KITCHEN ISLAND, WINDOW COVERINGS, AND FRONT YARD LANDSCAPING WITH IRRIGATION SYSTEM. WON'T LAST. EASY ACCESS TO I-76. ONLY 27 MILES TO DOWNTOWN DENVER AND 20 MILES TO DENVER INTERNATIONAL AIRPORT. MINUTES FROM PRAIRIE CENTER SHOPPING CENTER. NEW MEADOW RIDGE ELEMENTARY SCHOOL WITHIN WALKING DISTANCE! BUILDER 2-10 LIMITED WARRANTY. PHOTOS ARE REPRESENTATIVE, NOT OF ACTUAL HOME.